My feet is itching to go outside my crib and hankering for something kicky over weekend. Two days before weekend my two little itchy feet is looking for stomping ground and kept haunting me for another exciting and fun filled experience. My wanderlust soul is screaming and calling my name, and I have no choice but to listen and scream back. A very well known City in Philippines for being the happiest place and celebrated for being “The City of Love” I even wonder how it feels like to be loved by someone from this City. A place of friendly, warm and sweet Filipinos that is facilely heard in their sweet voice. 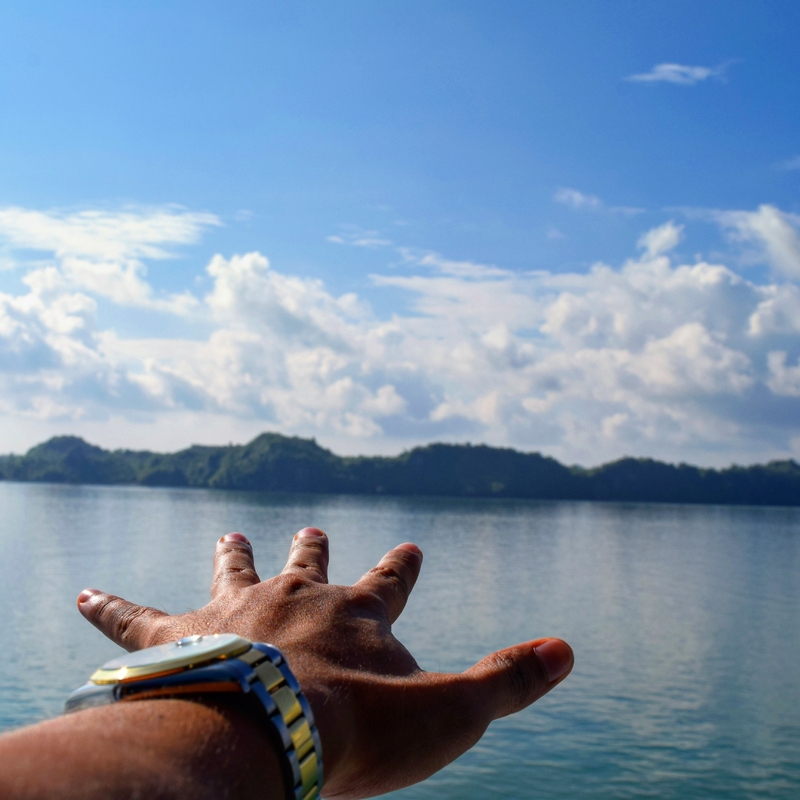 The city rests on a flat alluvial plain, facing the winsome paradise of Guimaras Island and known for being most progressive and interesting City in the Visayas region. A complete peaceful provincial atmosphere throughout the City for it does not have any skyscrapers. It’s far from other City’s that are bustling and over populated. The remnants of magnificent historical sights are proudly standing in the heart of the City and neighboring town. A beautiful sunset and the sprawling mountain of Guimaras welcomed me as I about to reach my destination. Approximately 8:30 in the morning the ship had docked off in the port of IloIlo City. On every visit to a place, it is invariably best to learn its history. Like many other metropolises in the Philippines, IloIlo’s history is reflected in its senescent Spanish architecture, building which date back to the Spanish time. Because of the strong influence of Catholic faith brought by Spanish discovery, the era of Spaniards is still presenting up to this time, visible and are being discerned by many through beautiful historic churches. Here is my travel guidebook for one day in and around IloIlo City and neighboring town. 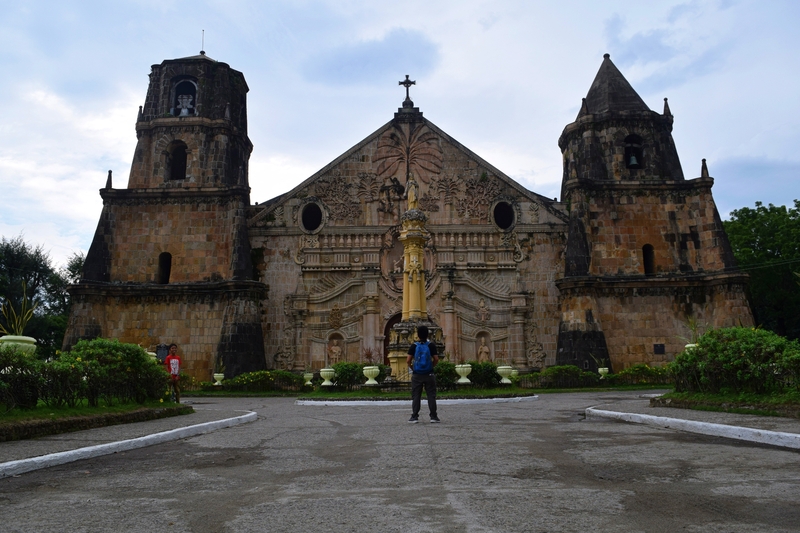 I traveled to the coastal town with a hilly to mountainous terrain of Miag-ao to check their beautiful World heritage Site, the well known Miag-ao Church. It is sited in the Southwest of IloIlo province and 41 kilometers from IloIlo City proper and has estimated one hour of travel time via jeepney. What I love about this senescent Spanish architecture church is the unique characteristic, the facade consists of a florid decorated bas-relief in the middle of two colossal watchtower belfries on each side. You will certainly notice the wooden entrance door in front, and above it is a beautiful carved image of Saints carrying Jesus while holding on to a coconut tree. 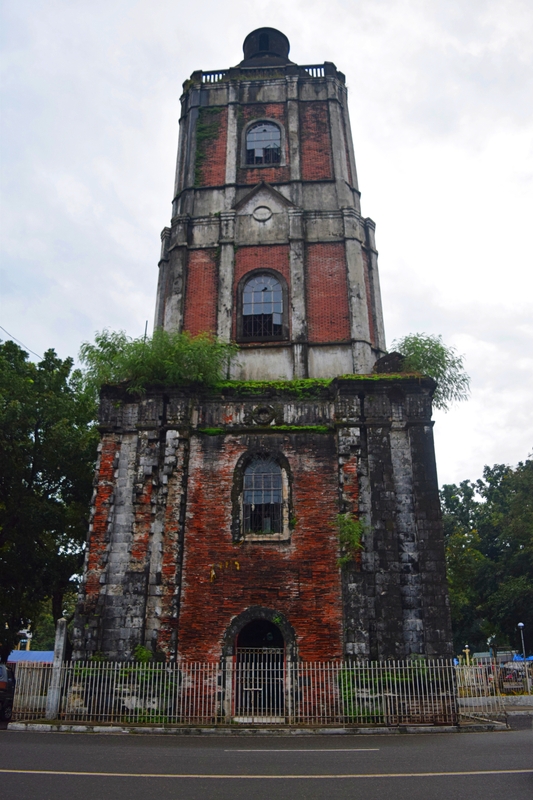 Miag-ao church and its watchtowers were built in 1787 and serves as protection against the onslaughts of the Moros to its people and the town itself. The church was declared as a UNESCO World Heritage site in 1993. 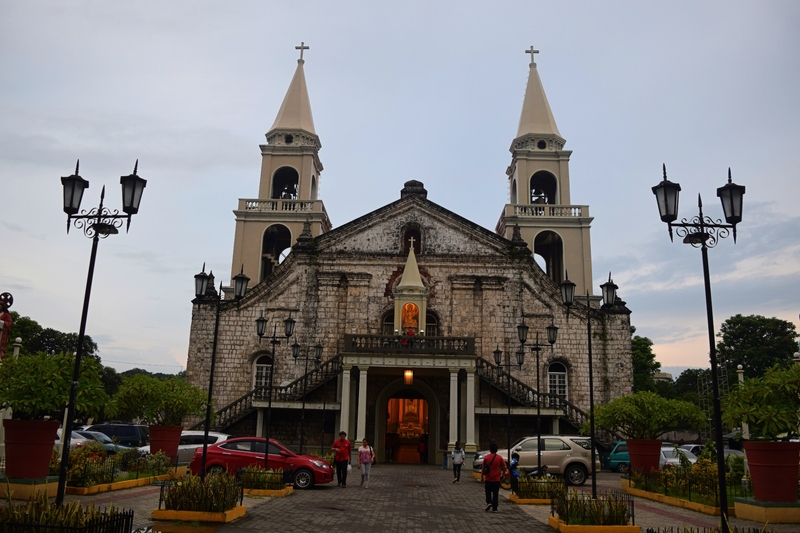 In 1974, the Jaro Cathedral was established and was destroyed by earthquake in January 1948, soon enough the Church was reinstated in 1956 under the order of the first archbishop of Jaro. The Jaro Metropolitan Cathedral had been the heart of organized religion in the province since then and up to this time. The unique triangular facade and a separated belfry located right across the street makes Jaro Cathedral out of the average. The church stands for the catholic faith of IloIlo people and the beautiful City of IloIlo. In 1976, the church was declared as historical landmark by the National Historical Institute. 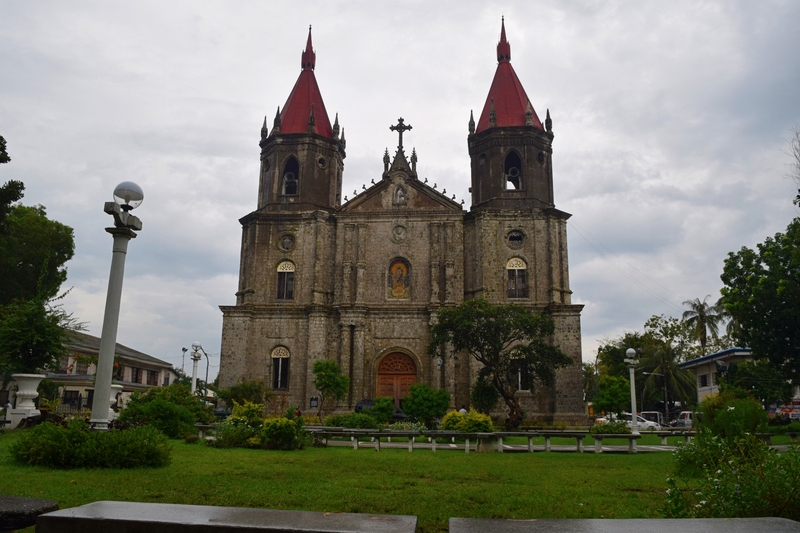 Molo Church or also known as St. Anne Parish Church was constructed in 1831 and was completed in 1888. The Church was declared by Historical Institute as National landmark in 1992. Would you believe that Molo Church is the only Church in the Philippines that has 16 images of women saints that is stunningly located along the main aisle of the Church. Which the Church gained its epithet as the “Feminist Church”. The Church has the sum of 30 bells of different sizes that is peacefully situated at the heart of the two belfries which is soothing to the ears when it rings. The chimes are making musical sounds because of their different sizes. One of the many popular and historical Plazas found in the center of the City is Plaza Libertad. The Plaza hosted different historical events in the yesteryear. One of these is when Governor General Diego de Los Rios have been ceded to the Filipino revolutionary troops headed by General Martin Delgado on Christmas day in 1898. After the 333-hundred year old Spanish settlement in the Philippines, the Filipino revolutionaries have been triumphant in which the first flag in the Philippines has been raised which serves as the augury of the first Philippine Republic. During its floruit days, the plaza also serves as the center of activity in the City. Today, Plaza Libertad is still the center of IloIlo City where you can find several business establishments. 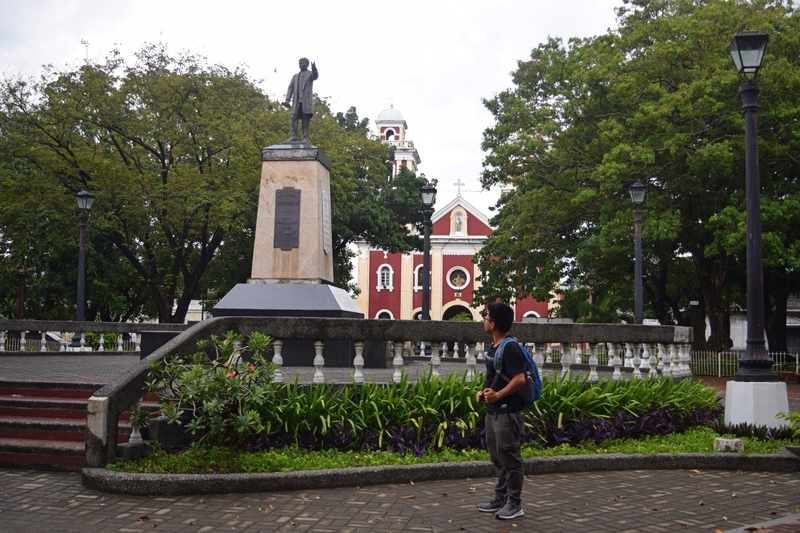 Plaza Libertad was declared by National Historical Institute as a national historical landmark on November 17, 2003. 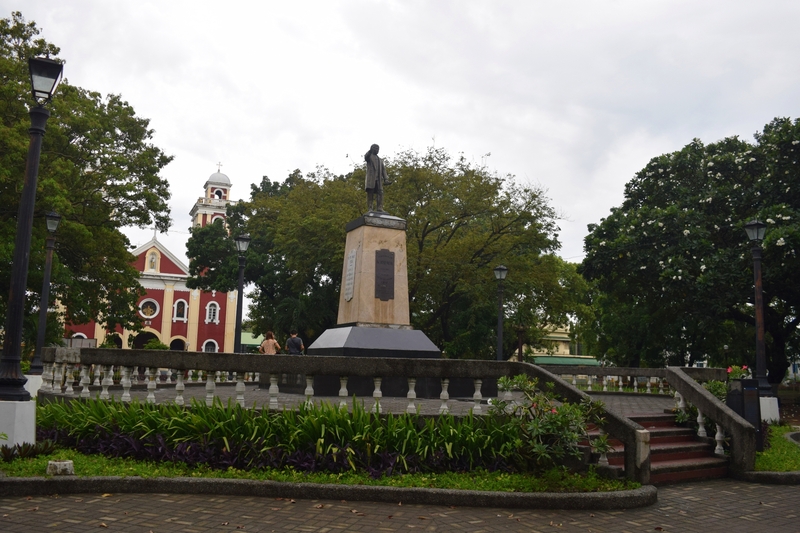 Within the Plaza, the monument of Dr. Jose P. Rizal is beautifully sited and was inaugurated on December 30, 1917. I too noticed the Steam Locomotive number 888 built by the American Locomotive Company (ALCO). It’s an Iron Dinosaurs were used to transport sugarcane’s during the glory days of the sugar Industry in the the Visayas Region. 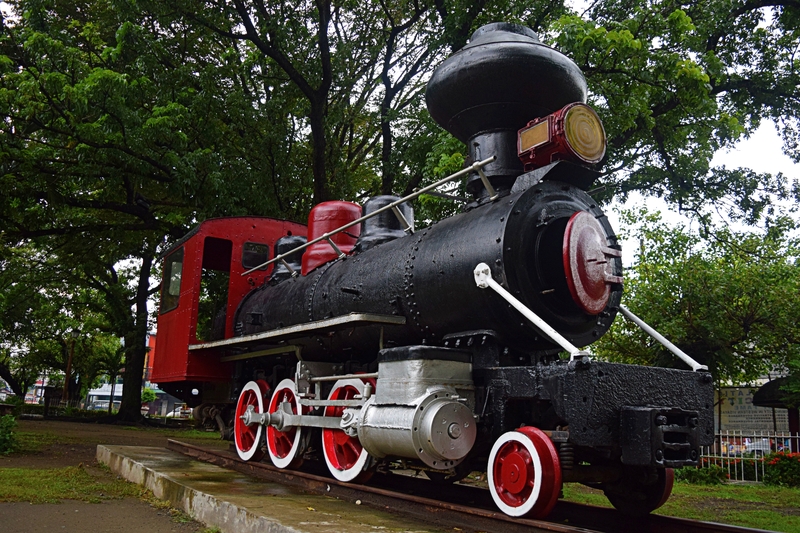 With the distinction of possessing the only Railway system in the country outside Luzon. If Cebu City has Colon Street, IloIlo City has also their famous street called Calle Real as presently known as J.M. Basa Street. It is home to several fine models of heritage buildings which dated back during the Spanish era. Most of the buildings were recently restored and beautified to gain back its previous beauty and make known to every Ilongos and even the tourists it’s historical significance. 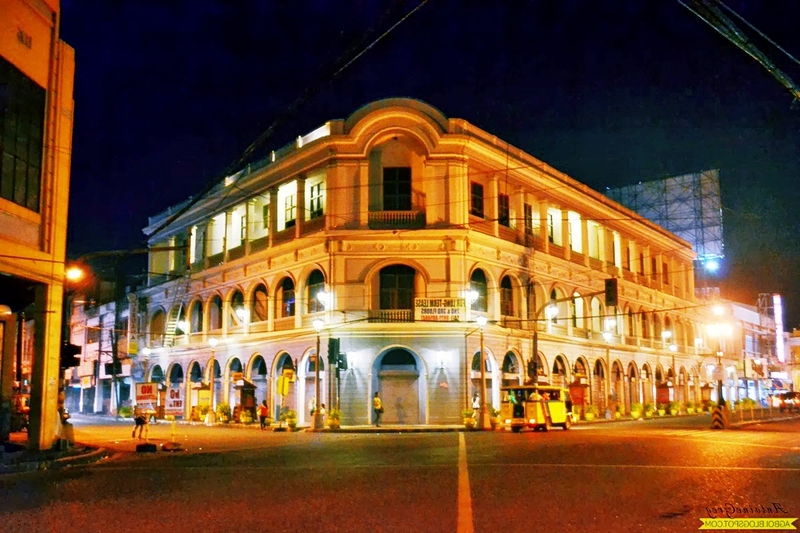 Calle Real was declared by the National Historical Commission of the Philippines as a territorial dominion and a heritage zone in August 8, 2014. My trip to IloIlo was never a boring trip, people are sweet, accommodating and everything is easy. Sauntering around is safe, riding a Jeepney is easy, just ask people around and they will surely help you to get to your destination. Never presume to leave IloIlo City without trying their well known local food ” Batchoy”. It is a noodle soup cooked with crushed pork cracklings, chicken stock, beef loin and round noodles. 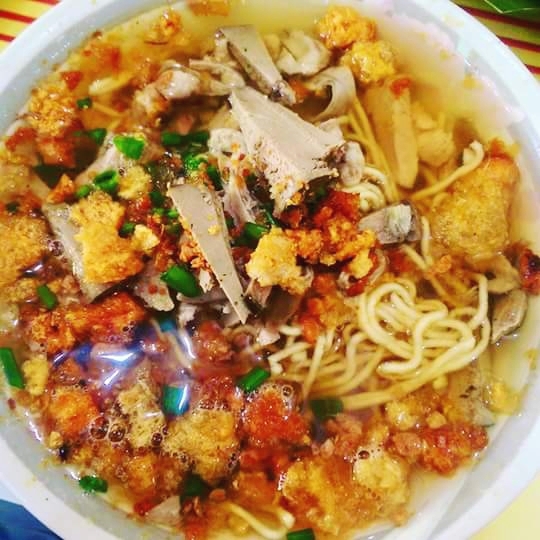 You can simply try this delectable food at La Paz Batchoy that has branches, like almost anywhere in IloIlo City. Affordable accommodation in IloIlo City. Address: Corner Quezon and Ledesma Streets, City Proper, IloIlo City. Address: Corner of Fuentes and Ledesma Streets. It is near Robinsons Place IloIlo (mall)and Colegio De las Hijas De Jesus (School). Contact Numbers: Landline (63)(33) 338-4288, 335-8572, 337-8734. Address: Time Square Building, General Luna Street in City Proper, IloIlo City. There are daily flights from Manila to IloIlo. Travel time takes around1 hour and 30 minutes from Cebu. The new IloIlo Airport, located in Cabatuan is 18 kms from the City Proper, and is accessible by jeepney, bus and taxi. Iloilo City is the province’s port of entry for sea transport and is scarcely five minutes away from the City proper. Ships sail to IloIlo City from Manila 12 times a week, from Zamboanga or Cagayan twice a week, and from Cebu City is daily. Fast crafts from Bacolod City take one hour. 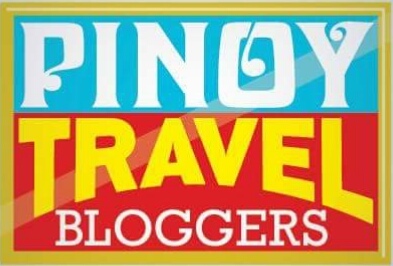 Previous Post: Happy Anniversary: One year of blogging with a grateful heart. Next Post: Cebu Westown Lagoon: A haven nirvana in the heart of the city. 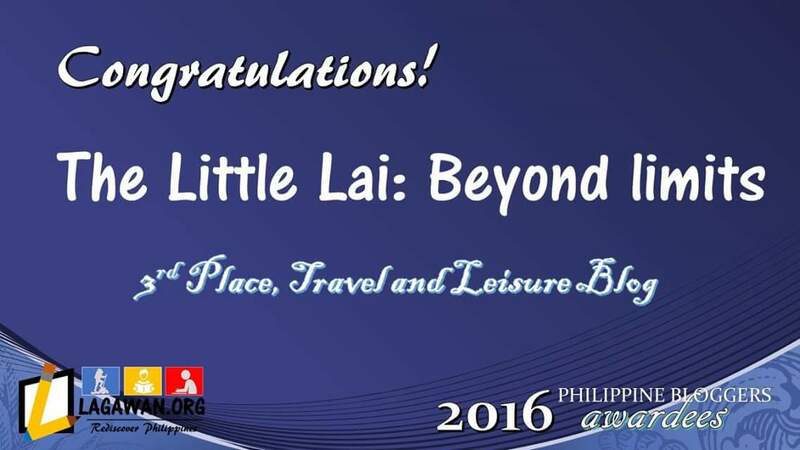 very nice experience in Iloilo city…keep coming back, will you? Thank you for dropping by today on my blog. You stated it right, I have a great time in Iloilo City and of course I’ll be going back to discover more of Iloilo City. I want to go back as well, we’ll go there together, would you? Yeah, it was interesting, it’s always great to know some history. Thanks for dropping by. I’m glad you seemed to enjoy with the tour. Thank you for dropping by. Yeah, the churches are eventually amazing, Thanks for the nice remark on my blog. Have a great day ahead. Yes, I did, in fact the people are kind and very helpful. 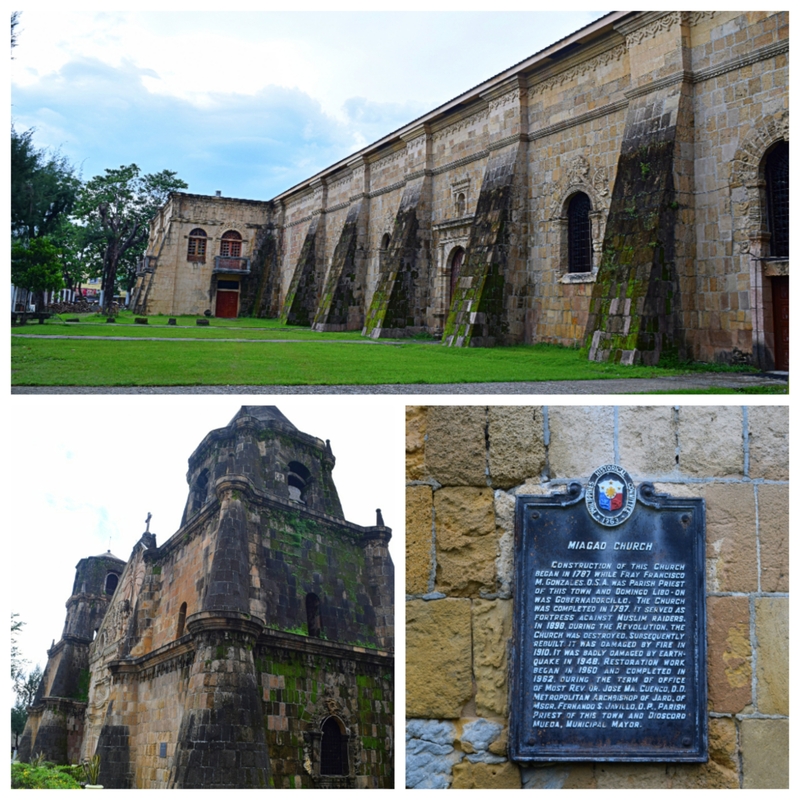 Oh wow, I’m such a sucker for historical sites and Iloilo looks like the perfect place to get lost in time! Thanks for dropping by. I wish I had enough time to explore IloIlo during my visit because there were actually still hold so many historical sites to delve into. Yes, the Churches are well maintained and they’re just stunning on their own unique building structures. Thanks for dropping by. Have a great day ahead. Wow, I’m happy that you’ve been planning to visit IloIlo. You will surely can, I’m certain of that. Do share your experiences there as well. Thanks for dropping by my blog. I’m glad I was able to give you an informative and good tour. Maka daog kaya ang silhig sa akua? The more I read about the Philippines, the more I want to visit. It is quickly becoming one of the places I want to visit more than any other! Yes, you stated it right, thanks for dropping by on my blog. Wow, I’m glad that you wanted to visit our country. I will surely assure you that you’ll fall in love with the stunner of the Philippines. Hello mate, thank you for reading my blog. About the expenses, it will merely cost you around 3-4k as that includes the transportation and everything. Thank you for your kind words. You have also a beautiful blog. It just looks beautiful – you are lucky to live somewhere like that! I hope you can visit the Churches as soon as you get back to IloIlo. 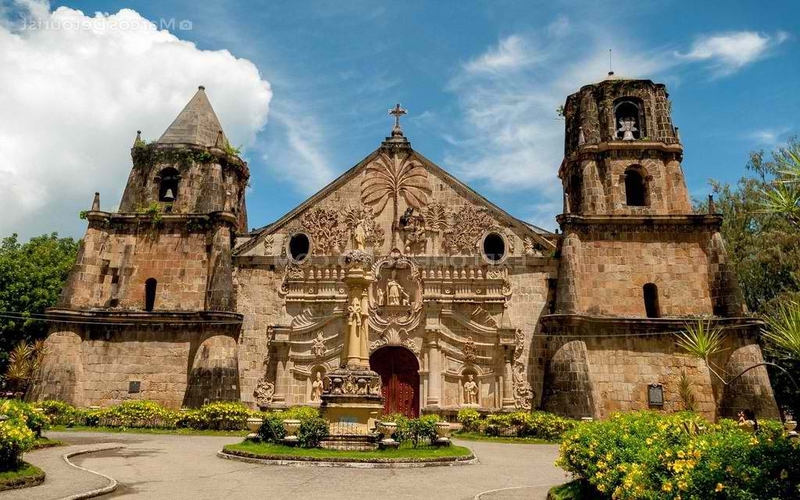 These Churches are only located around IloIlo. I hope you can visit them all and I’ll be excited to read your experiences there as well. Sure. When my hub arrived yesterday night, sabi ko sa kanya…bakit di mo ako dinala dyan sa mga churches nyo? Showing him your Iloilo blog. He said…OK. Sa August puntahan natin! Hahaha. As in, agad-agad? Hahaha. Wow, naman po. Mag eenjoy po kayo I’m sure of that. Marami kayang tanawin sa IloIlo aside sa mga Churches. Sa neighboring town po ng IloIlo marami din pong mapapasyalan. Sabihan nyo po husband nyo para magiging masaya ang bakasyon nyo dito sa Pinas. If only we have all the time in the world. Laging bitin. My 14-yr old son is still having school exams now here. Parang sort of NSAT ba yun? If everything will be settled..we might consider a vacation this August. Ive by no means read anything like this just before. So good to locate somebody with some original thoughts on this topic, really thank you for beginning this up. this web-site is one thing which is necessary on the internet, an individual with a small originality. useful job for bringing one thing new to the world-wide-web! My bestfriend is from Ilo Ilo and he always takes pride about their Batchoy! He promised he’d let me try it someday! Haha! That was back in highschool and I still haven’t tried the well-prized la paz batchoy!